Many people say that accountants have no sense of humor.. Well I beg to differ! 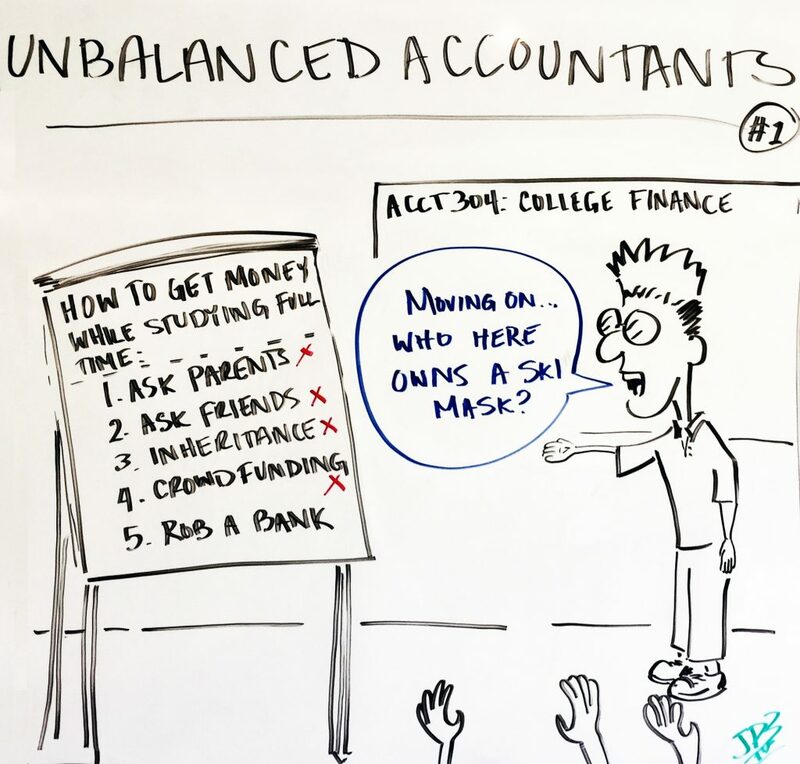 Here are a few of my favorite accounting jokes, enjoy! Looking for funny accounting jokes? Look no further! Below are some of the best IRS, CPA, and tax jokes on the internet. If you know of any other ones not on the list, please leave a comment at the bottom of the page and I’ll be sure to add them! What is a CPA’s best pickup line? What is the definition of an economist? Someone who didn’t have enough personality to become an accountant. Someone who solves a problem you did not know you had in a way you don’t understand. Why do accountants make great lovers? We’re not boring people. We just get excited over boring things. Someone who has a loophole named after them. Darling, tell me about your work. He had a ton of paper work to do. But no matter how hard he tried, he couldn’t budget. So he decided to work it out with a pencil. This meme from Roger CPA Review pretty much sums it up.. Nothing like a little accounting and tax humor to lighten up your day 🙂 Please share any funny accounting jokes you know below and I’ll add them to the list!